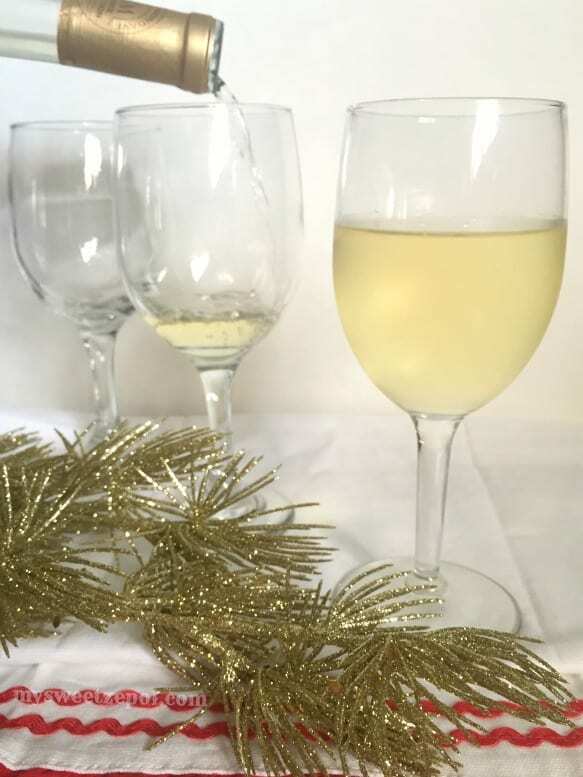 5 Tips for Being the Best Hostess During the Holidays! Early on in my brothers life my parents learned that he was not going to able to walk. That requested the need for a wheelchair. He is now in his 40’s and is still on a wheelchair. That didn’t stop my family to get together with friends and other family members. It just meant that we needed to be smart about it. My mom always hosted family gatherings in our house, it was just easier for my brother. Going up the stairs with him in a wheel chair was not easy. I didn’t know how she managed to get everything together and still be stress free. When I host a party in my house I remember her & when I am organized (as she was) I honor her. She always shared that a good hostess was an organized one. Stress free helps every hostess enjoy the night & be part of the memories. Latina women are strong & love keeping all the familia together. Being organized prior to any party or gathering is key. I would share with you some tips for making your holidays memorable and enjoyable. 1. Be confident with the products you use around the house. Keep paper accessible in the guest bathroom. Scott comes individually wrapped which I love. 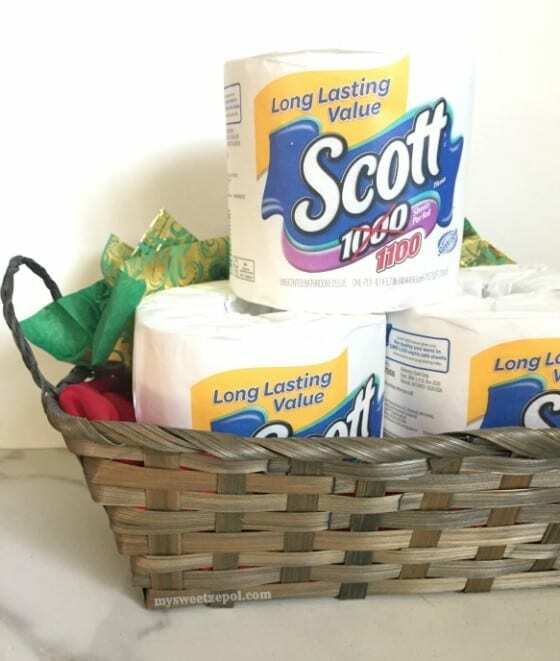 It keeps every roll tidy and looks pretty when displayed on a lovely basket. 2. Place Kleenex boxes on side tables or the coffee table in the family room, perfect for the little noses in the family. Easy clean up. 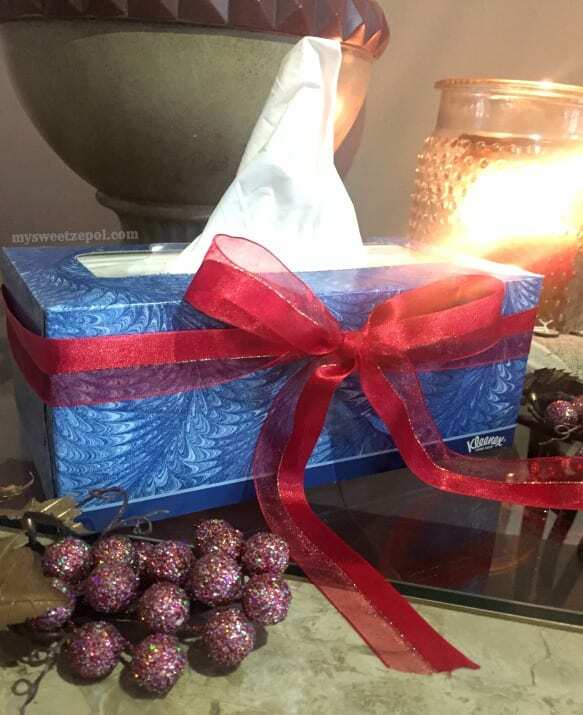 Cover your Kleenex boxes with cute ribbons. Use colors that you already have in the space or the theme, that will make the box blend in and look even prettier. 3. When planning a meal, (or appetizers) choose a theme. For example, Mexican. That will simplify your options and give you a hint for the decor. Think colors, flowers, jalapenos, chips & salsa, sombreros…your get the point. 4. Start small. If large gatherings overwhelm you, organize small groups at a time with wine and appetizers or coffee and sweets. Your confidence will grow with time and you’ll be hosting larger parties in no time. 5. Enjoy the evening dancing to your favorite music. We are from Puerto Rico and love our Salsa and Merengue. The kids are starting to dance too and we love it. They are learning about our, (their) culture. My abuelita also hosted the gatherings in her house and now I host them in my home. Her goal was always to make everyone feel warm & welcomed. The family we have around is not as much as when we lived in Puerto Rico, but we still have a wonderful time making new memories. Plus, we have included friends from the neighborhood that also have family on other countries. That is what I enjoy the most, having everyone over, sharing their cultures, their dishes, songs and stories. 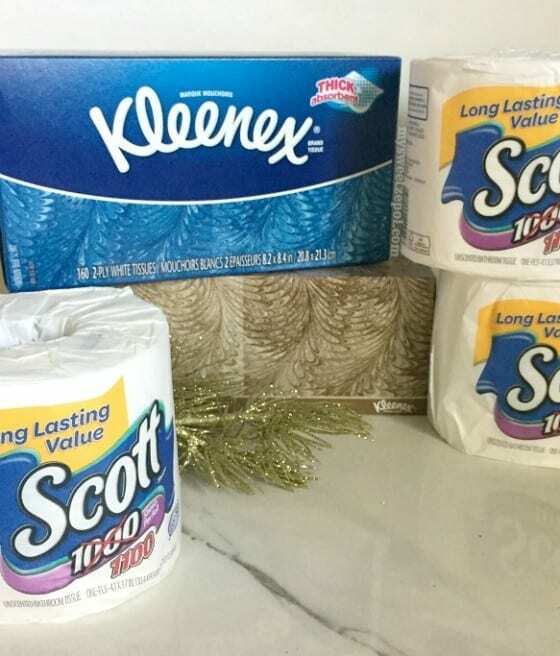 Keep your house stocked up during the holiday season (and year round) with family care products like Scott and Kleenex. I always get everything I need for the holidays on BJ’s Wholesale Club, I wouldn’t go anywhere else. 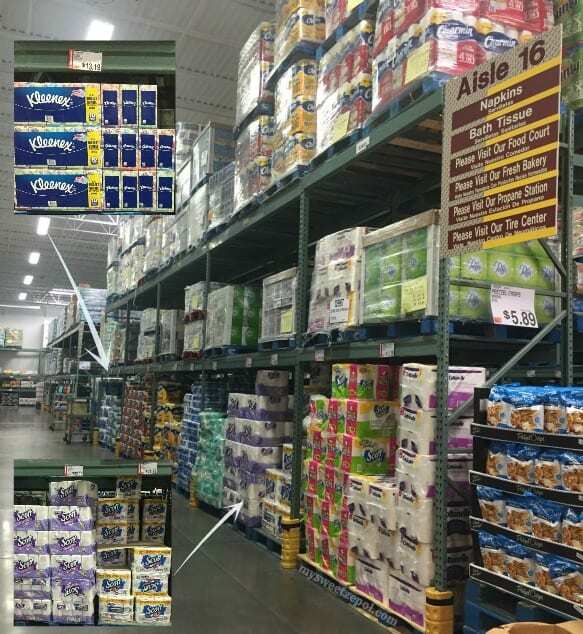 The Kimberly Clark products at BJ’s Wholesale Club makes it easier for me to be the best hostess my family and friends have ever seen. I spend less time shopping and more time having fun. Don’t worry if you are not a BJ’s Wholesale Club member I have great news for you, here’s a free 60-Day BJ’s membership offer (Valid through 12/31) for you to enjoy and fulfill your family’s holiday prep shopping lists. Follow this simple tips and you’ll be crowned the best hostess ever. Stress free all day long. You will want to host more gatherings in your home. Tell me do you have any tips of your own that can help us all be better hostess and prepare our homes to share this special time with family and loved ones? Here’s another tip, enter for a chance to win a $500 Visa gift card and start shopping some of your favorite Kimberly-Clark’s products! 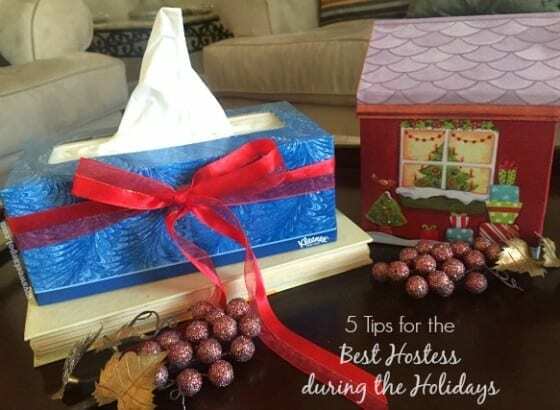 8 Comments on 5 Tips for Being the Best Hostess During the Holidays! Gracias por los consejos, me encanta comprar en BJ’s porque ahorro tiempo y dinero. Que buenas ideas! Tengo que ir al BJ, ya que aún no he probado de comprar allí. Gracias por los buenos tips! Great tips! Holidays should be about enjoying not stressing! Que lindo decorar la casa, tengo que pasarme por esta tienda! I like number 3 and I thinks is always a good idea to have a theme for a party!